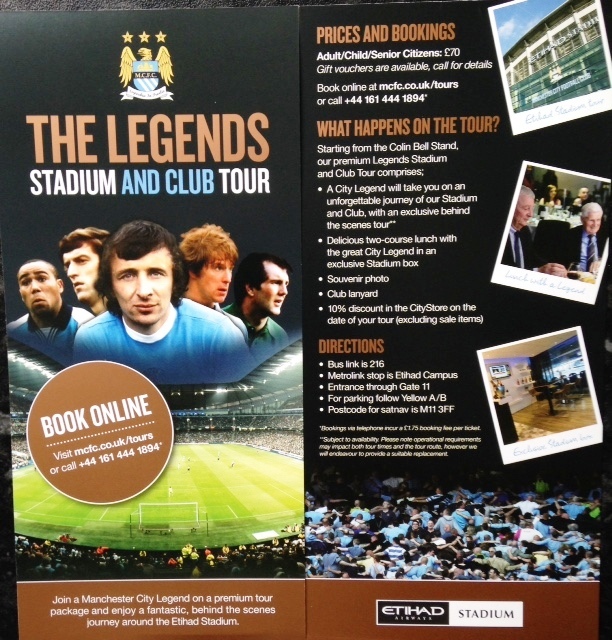 Legends Tour – a great new customer experience now available from Manchester City. The Oxford Dictionary defines the word legend as all of the above, and Manchester City have succeeded in providing a perfect blend of the three definitions with a new and enthralling insight into the club’s past, present and future. City have taken giant strides on the pitch in recent times capturing Premier League titles and domestic Cups, and similarly, the club has kept up the pace off-the-field with creative and innovative supporter experiences. Match day entertainment and interaction with the fans in City Square surpasses anything served up by any club in the country, irrespective of it being a Saturday lunchtime, Sunday late afternoon or weekday evening kick-off… and City have the awards to prove it. Winners – Manchester City are champions both on and off the field of play when it comes to offering their fans the best value. Three points or progression through to the next round of a cup competition are always the main focus when the place is heaving with crowds of 45,000+, but a new attraction now awaits true blues when the Etihad is decidedly empty. The Legends Stadium & Club Tour is a compelling proposition, serving to enhance any City fan’s understanding and engagement with the club they love. It’s a behind the scenes odyssey encompassing the club’s 19th century origins to the here and now as the Champions of England, embracing some astonishing highs and some unpalatable lows in the history of the only top flight team to hail from Manchester. Behind the keyhole – well…sort of! Grab a unique insight into Manchester City FC! Accompanied throughout by one of the club’s hugely knowledgeable guides – we were educated and entertained by the superb Norman Swift – the big selling point is spending something like 200 minutes in the company of a former City star, The Legend! 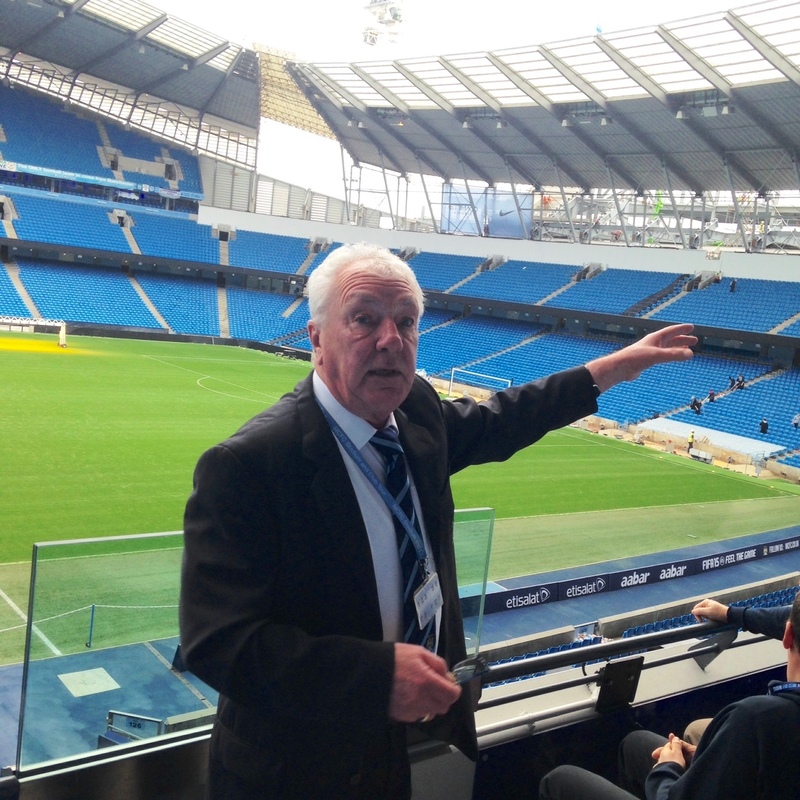 Tommy Booth, City’s centre back stalwart from 1967-1981, was first up when the Legends Tour, launched on October 9th – 46 years to the day after making his City debut in a 1-1 draw against Arsenal at Maine Road. Stormin’ Norman – Legends Tour guide Norman Swift is a star turn! 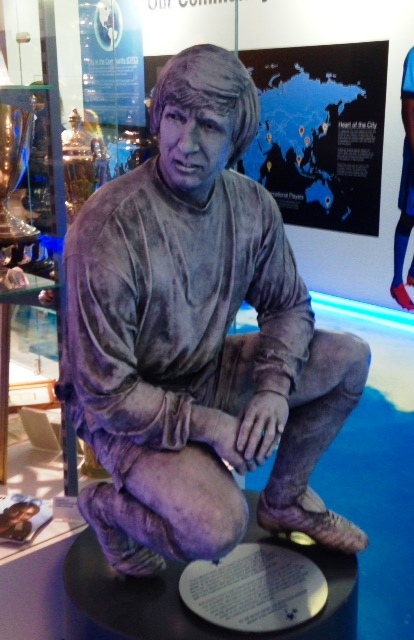 A few weeks on, with the next Legends Tour about to commence, we were gathered in the Colin Bell Stand main reception and Norman was conducting a quick round of ‘Guess the Legend’ questions. Who was it going to be – Colin Bell, Joe Corrigan, Peter Barnes, Mike Summerbee, Shaun Goater even Tommy Booth making a 2nd consecutive appearance…? Playing statues – Colin The King awaits guests on the Legends Tour – who knows there could be two Colin Bells in the same room on a tour? It soon became apparent it was a player who never won major honours in a City shirt, but who nonetheless, was instrumental in piecing a once broken club back together, and an individual who had triumphed in the face of personal adversity. Play-Off pinnacle – Jeff Whitley was a City hero on that fateful day in May 1999. A new generation of City fans might not be familiar with the name Jeff Whitley, but for the tens of thousands who rode the City roller coaster between 1996-2003, he is readily identifiable as one of the heroes of Wembley on May 30th 1999 – the day Manchester City’s modern day renaissance began, via a Second Division Play-Off Final win over Gillingham. With 133 first team outings, six goals, two promotions and two relegations in City colours, Jeff was an integral part of ‘Typical City’ of a bygone age. Now, 35-years old, Jeff has overcome well documented problems with both drink and drugs, to emerge as an excellent ‘ambassador’ for City, the club he still regards as ‘his team’. 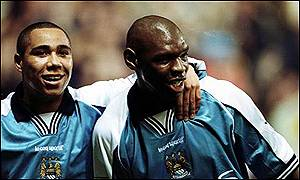 Glory days with the Goat – Jeff Whitley & Shaun Goater helped resurrect City’s fortunes. On this, the second ever Legends Stadium & Club Tour, Whitley played a blinder, so much so, that Read But Never Red will be writing a follow up feature on the man who was born in Zambia, made 20 senior international appearances for Northern Ireland, played for the best club team ‘In all the land and all the world…’ and finally put in a superhuman effort to haul himself back from the dark precipice of drug and alcohol addiction. 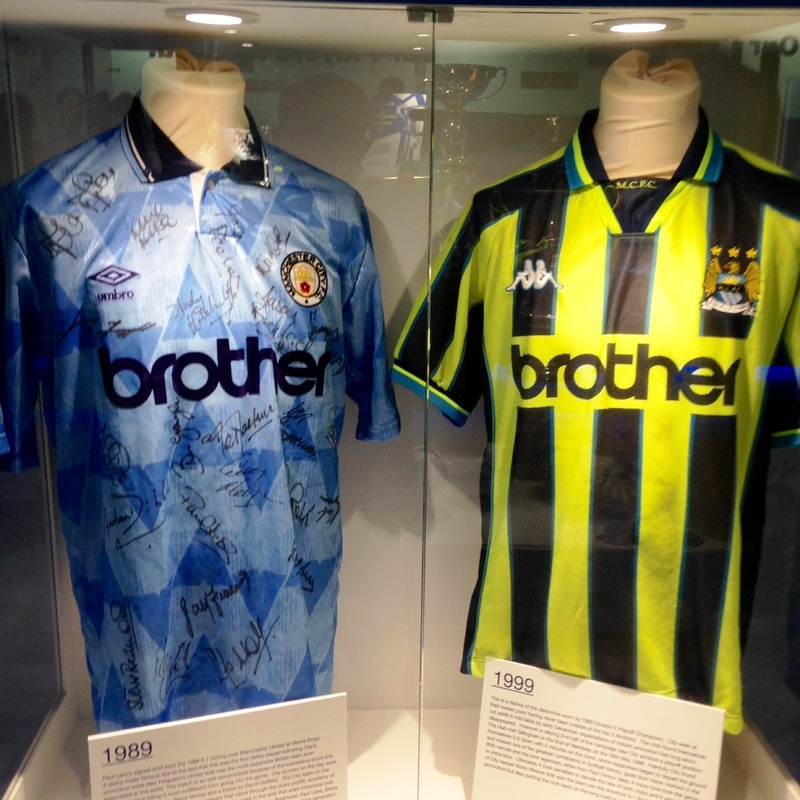 Brothers in Arms – City’s battle colours from 1989 & 1999. Suffice to say he should be regarded as an asset to Manchester City, and anyone who books a Legends Tour and finds Jeff as the host, will soon discover what a privilege it is spending time with an articulate and self-effacing man who has re-invented himself. The tour is a large slice of sky blue heaven as the party see, touch and ‘feel’ the usually inaccessible elements of the Etihad. 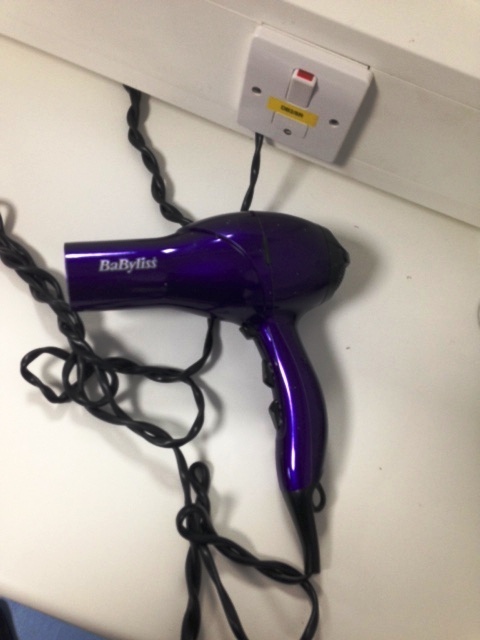 Hairdryer Treatment – Pellegrini’s version is different from Fergie’s in the Manager’s dressing room. It’s a wonderful eye-opener; the trophy room, the dressing room, the pre-match warm up area, the Chairman’s Suite, the Director’s Box – complete with heated seats – the media room, the tunnel leading to pitchside, the ‘dug-out’ & subs bench…you even get a look at Manuel Pellegrini’s match day hairdryer – somewhat different than the one dished out by Fergie over in Trafford Borough. 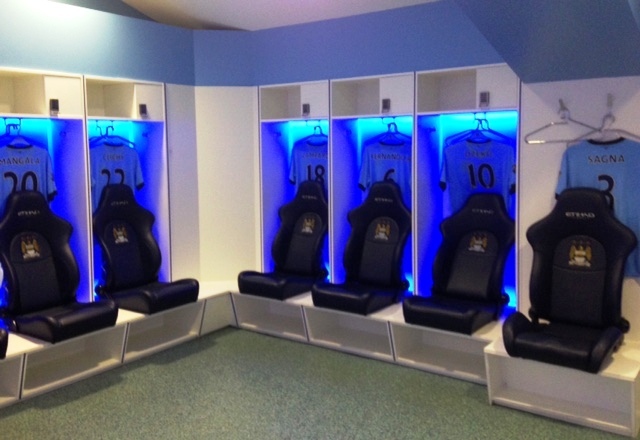 Get your kit on – the Home dressing room for Super City. 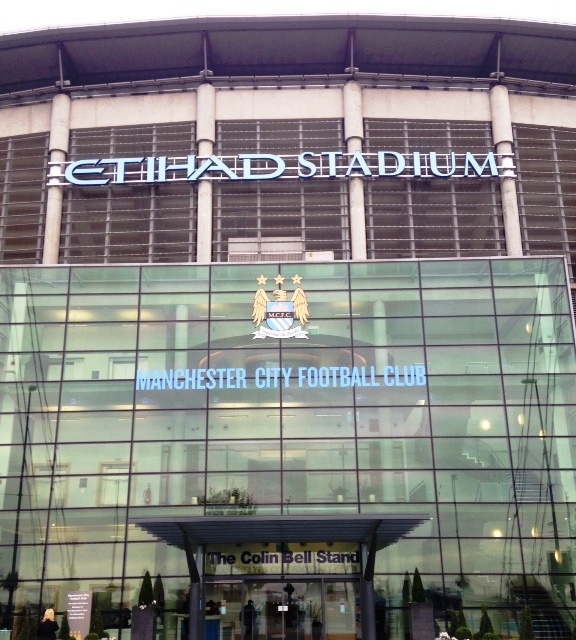 There’s also an in-depth exposure to the graphics and imagery of the new Etihad Campus and City Football Academy – recently opened with a reputed £200m development cost – giving City the best training facilities in the world. One can only imagine the stampede for places when City start running tours around the simply ‘mind-blowing’ complex. 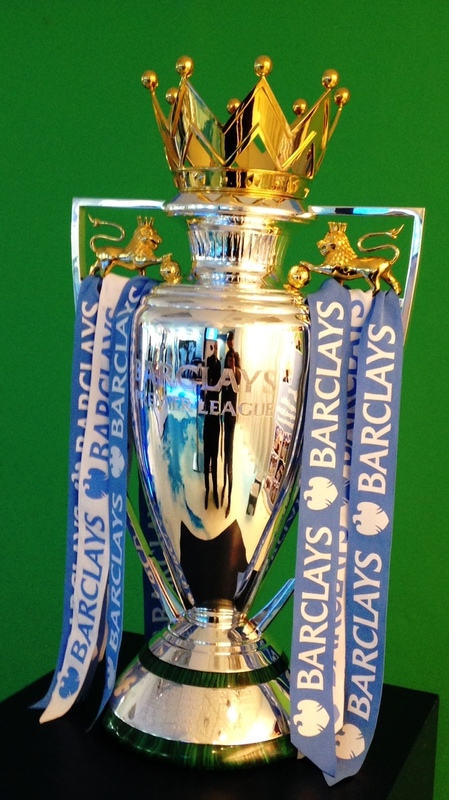 Events get off to a flyer as each ‘guest’ has a photograph taken with Jeff and the Premier League trophy in front of the ‘green screen’ – a great memento to be collected at the conclusion of the actual tour, prior to a sumptuous lunch in an Executive Box. 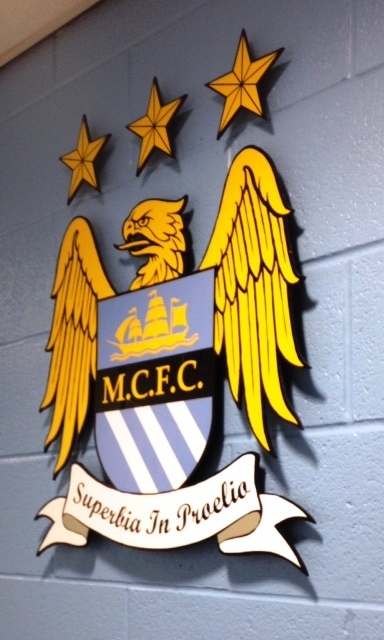 Play for the badge – City’s eagle sits proudly on the dressing room wall. Norman is in his element as he waxes lyrical with an endless array of facts, figures, dates, names, places, and cherished memories of his lifelong affiliation to the club. Above all else he excels with wonderfully witty anecdotes about players, managers, chairmen, royalty…you name it! It’d be unfair to reveal too much of Norman’s amusing ‘cabaret’ but as a City supporter you come away with a different perspective on the likes of, would you believe, Jose Mourinho and Sir Alex Ferguson! Digging in – Jeff and Legends Tour guest Debi Walker have a sitdown in the luxurious City ‘dug out’. He is a proper character and he and Jeff make for a winning combination in the eyes of the 18-strong tour party. The tour element runs for approximately 90 minutes, during which time Jeff chats on a one-to-one basis with the paying guests and also bares his soul in a ‘Question & Answer’ session, sitting in the hot-seat often occupied by Manuel Pellegrini during his press conferences. 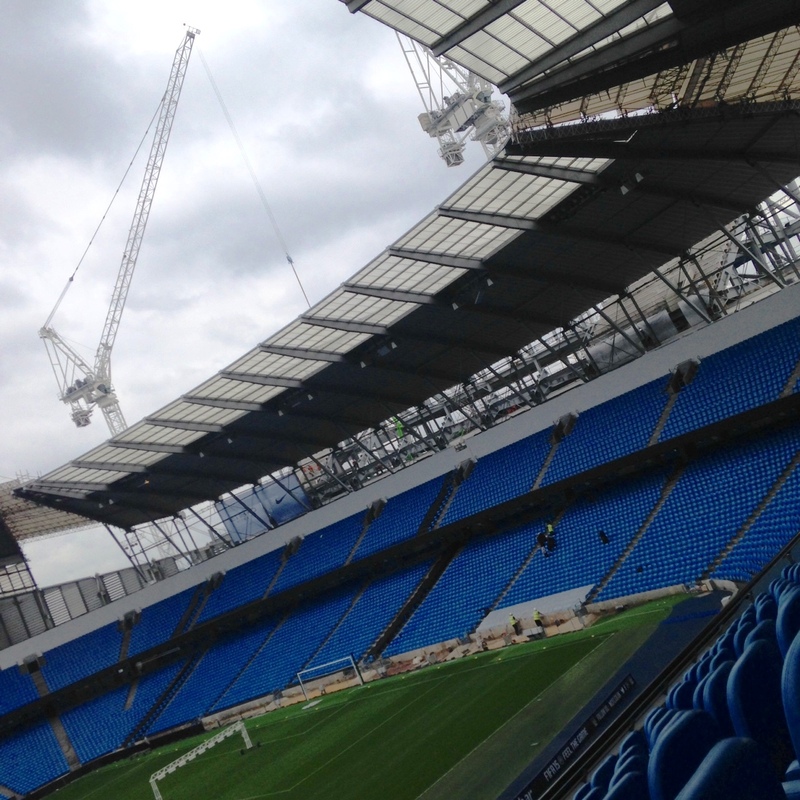 Roof raising – The Legends Stadium Tour will go down a storm with City fans. Prior to lunch at just after 13.30hrs, the Etihad ‘tourists’ return to the trophy room to be given their complimentary photographs with Jeff and that splendid piece of silverware, held aloft by Vincent Kompany on May 11th, this year. A quick lift ride up to the ‘posh’ parts of the Colin Bell Stand, and it’s time for a thoughtfully created and exquisitely presented three-course lunch. Jeff is last to finish his food, on account of him regaling the party with both hilarious and poignant tales of his life as a footballer and struggles with addiction. 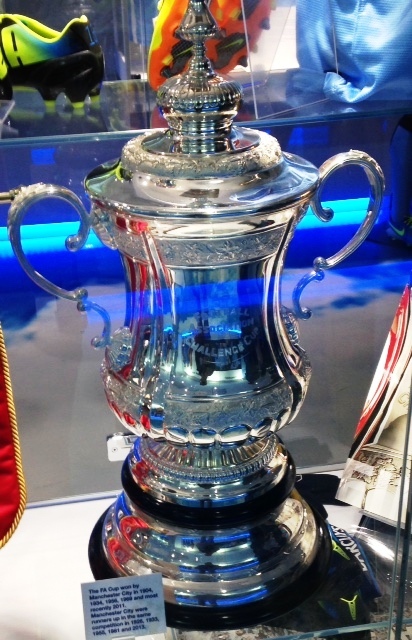 Trophy time – City have their own FA Cup at the Etihad. At £70-a-head The Legends Stadium & Club Tour represents true value for money and a thoroughly enjoyable three-and-a-half hours at the home of Manchester City…and all without the worry of City dropping points or being knocked out of a competition…as they had the night before against Newcastle United in the Capital ‘Punishment’ Cup! If you’re a City fan it really is the proverbial ‘must do’ and, with Christmas fast approaching, a Legends Tour ticket would be most welcome in many a sky blue stocking! 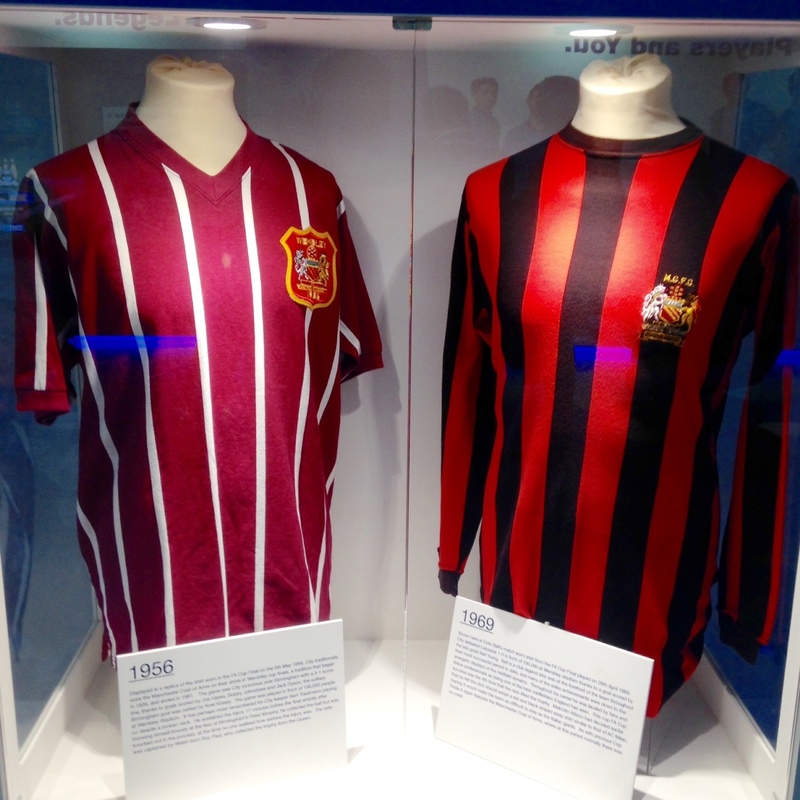 Cup Winners – City shirts dating back to 1956 & 1969. 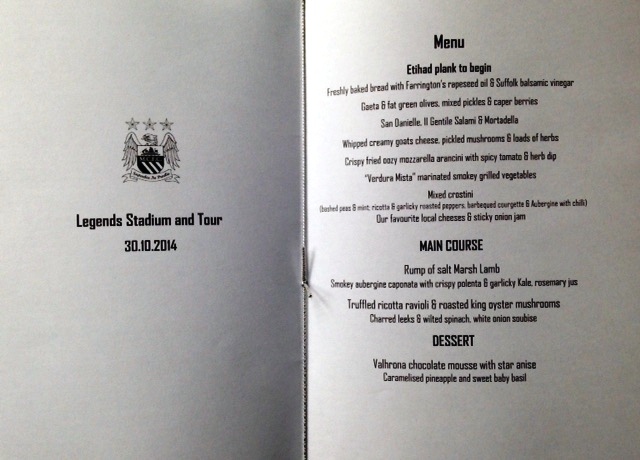 Tasty offering – The Legends Tour Lunch was delicious. 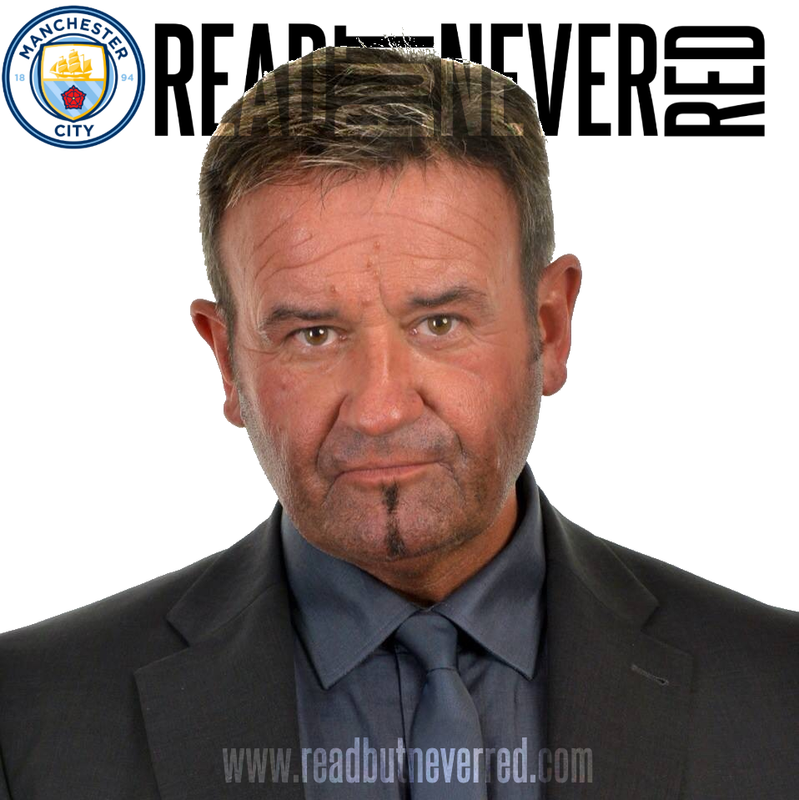 Read But Never Red is delighted to partner with Manchester City to be able to offer one lucky reader the chance to savour a behind–the-scenes journey around the Etihad in the company of a City Legend. 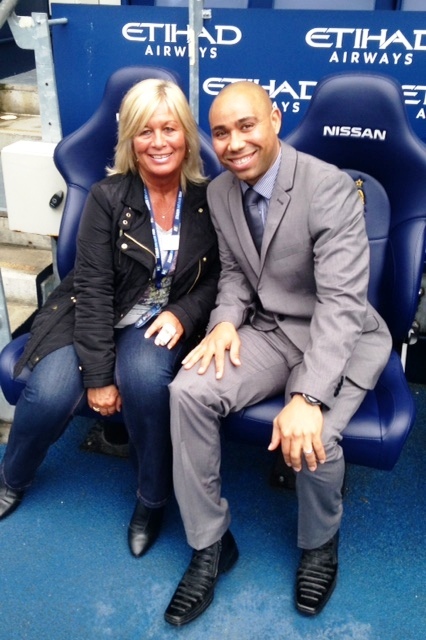 How many appearances did Jeff Whitley make in the City first team between 1996 & 2003? 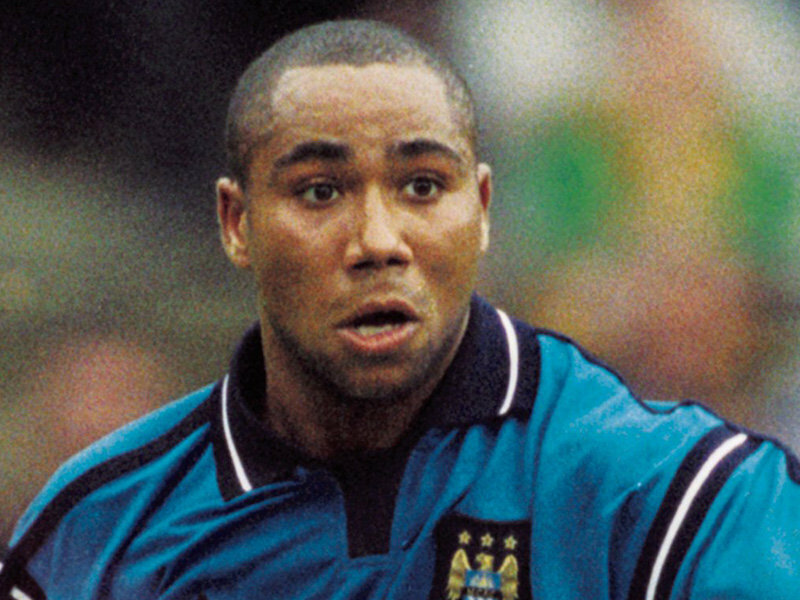 Perfect host – Jeff Whitley made 133 first team appearances in City’s colours. You can enter the competition via a host of social media by using the #MCFCLegendsTour & stating the number of games Jeff played. Thanks Lee - 133 seems very popular! Sounds a great experience, David. I have been on the standard tour, which was excellent, so I'm sure this one will be even better. Likewise Gary. They Legends Tour is a marked upgrade in terms of what you get & the chance to spend quality time with an ex-City player. Best of luck in the competition it's a great experience. Lets hope the missus reads RBNR & gets me decent Xmas present for once other than Bloody socks!! Jeff made 116 appearances for the blues. Make that 133 total apps for the blues. .. 116 league ! Can't beat a City blue who does his research! Not necessarily socks then...best of luck. Merci Msr - best of luck with your competition entry. At a guess I would say 133 appearances, any good ? That'd be a wild off-the-wall guess would it? You could be on a bit of a roll here Stef after your success with LCCC in the summer. Best of luck Blue. Super Jeff made 133 appearances - I remember calling over him to sign my little brothers programme at QPR many 'Bluemoons' during the warm up ago when Jeff was about 17 - You could see the look on his face thinking I shouldn't be doing this !! Nice anecdote Mark and a mighty fine answer! I remember Jeff well and remember his brother Jim too. Jeff made 133 appearances. It does doesn't it Scooter...I wonder why! Thought I'd sent in the answer from my phone, but can't see it - so I'll go along with everyone else and say 133 appearances! Jeffrey made 133 appearances for the blues during his career...scoring a colossal 6 goals in that time! #LEGEND! Legend indeed. Top bloke in the modern day and great company on the Legends Tour. Jeffery made 133 times for City. I get the drift Doug...as a previous winner of a RBNR competition you have a certain pedigree in these quarters. Thanks for entering. Could be right on the money there WilfieBoy - thanks for your support and all the best. It does what it says on the tin! Best of luck. Jeff appeared 133 times for City. And Jeffrey did as well, as per your earlier entry ;-) Cheers Doug #TopMan. Jeff made 133 appearances for City. He also sold me my car!! Nice one Stuart...is it a nifty motor - Jeff always had a good motor in his playing days...up and down the midfield! 133 games in all, David. Cheers BBB best of luck. You can't beat a good end rising Guvnor - Super Citeh on the up. Thanks for your competition entry. Could it be 133 by any chance? 116 Appearances but 133 in all games for City. Many thanks for your entry - good luck in the draw. Correct...BUT we have had dozens upon dozens of entries and in the spirit of transparency and maintaining integrity the first name 'out of the proverbial hat' will be conducted by a representative of Manchester City FC. I know you're only joking Al and all the best in the draw - it's a great experience and excellent value at £70 per person. Thanks for your entry Kevin - best of luck in the competition. Jeff made 133 app for the blues. Thanks Cathy - good luck. Are you wearing night goggles at the point of stabbing? Jeff is a fine ambassador for MCFC and whatever has gone before, he was a great 'legend' on the tour. Smashing chap. 133 appearances. Keep up the good work. Thanks for entering ...and thank you.